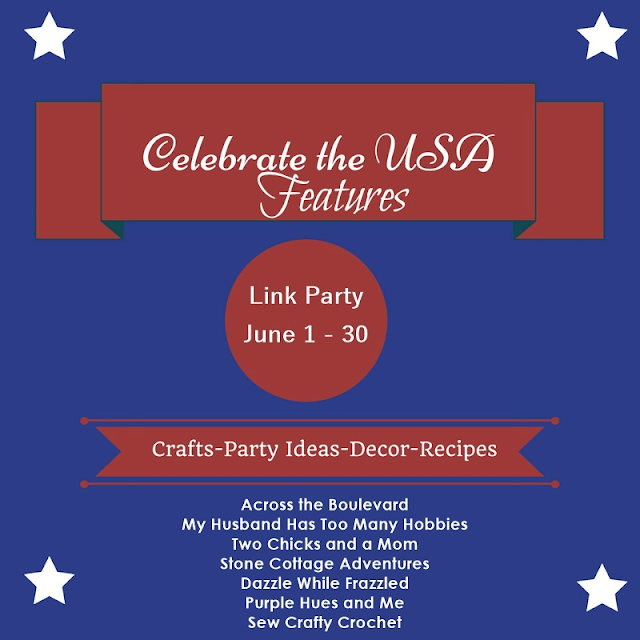 It's been an inspiring Celebrate the USA Link Party month! And it's befitting that it's ending just as we're celebrating Independence Day and the Fourth of July. We've truly enjoyed seeing all of the red, white and blue ideas that were shared during this party! So much inspiration! Today, the co-hosts are featuring some of their favorites! 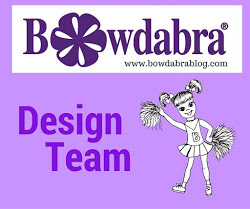 My first favorite feature is actually in two parts from Debbie @ Debbie Dabble Blog: Here and here. 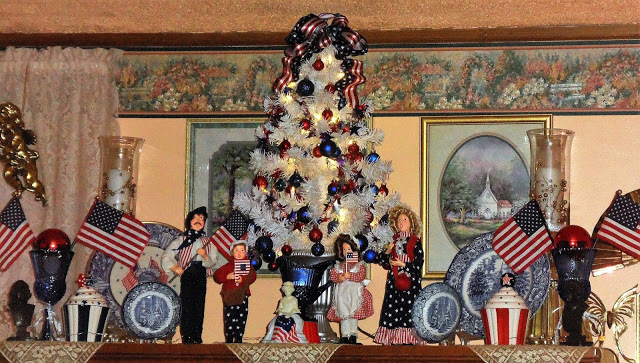 Debbie goes all out with her patriotic spirit! 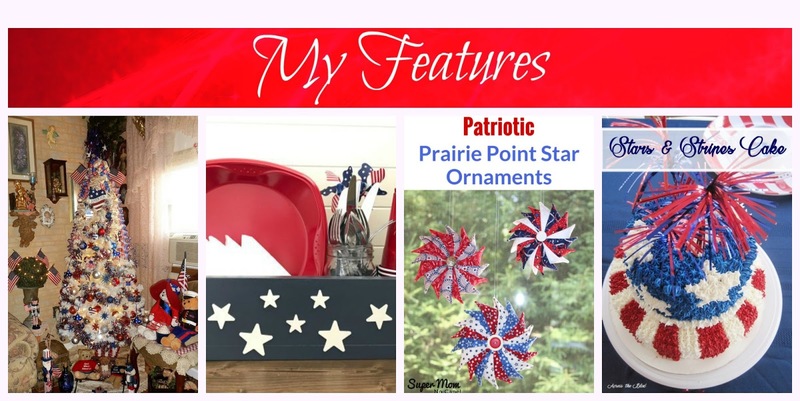 She decorates her entire home for the Patriotic Summer Holidays. You can't Celebrate the USA any more than this! Wow! 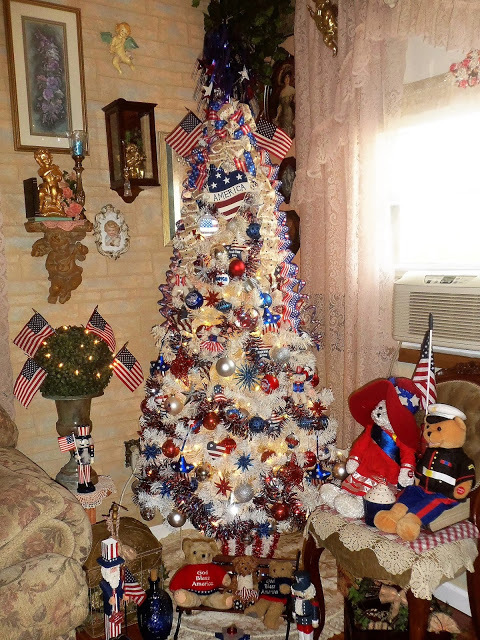 Please visit both of her patriotic posts and be inspired. It's truly amazing! 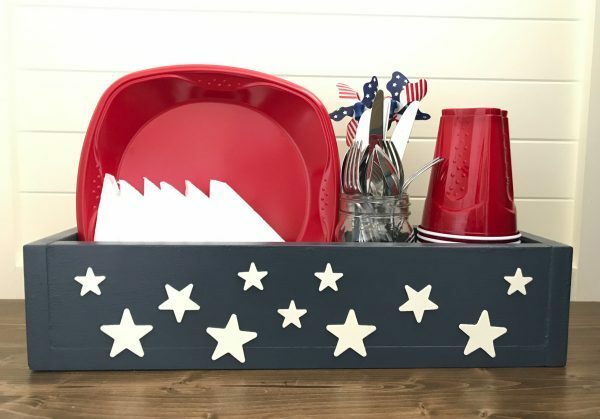 Next, I love how Stephanie of Abbotts At Home shows us how to make a quick and simple Patriotic Utensil Caddy using small power tools - something I have never mastered! It's an awesome, handy creation that can be used throughout the summer! Stop by and check out her wonderful, easy to follow tutorial! And then I chose Sue @Super Mom - No Cape, who shared her Patriotic Prairie Point Star Ornaments! 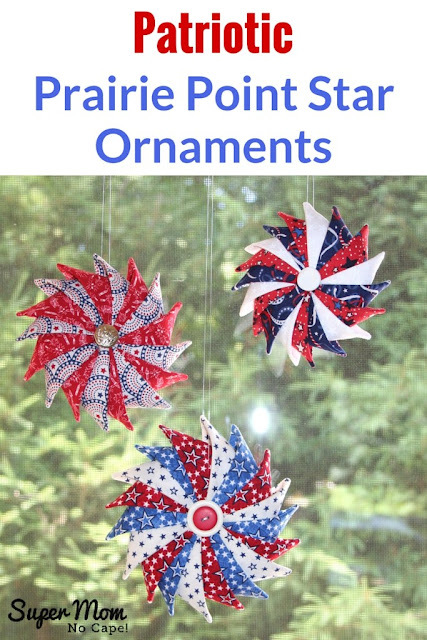 I love handcrafted ornaments and these are absolutely stunning! Sue offers a detailed tutorial here, so please stop by and check it out. 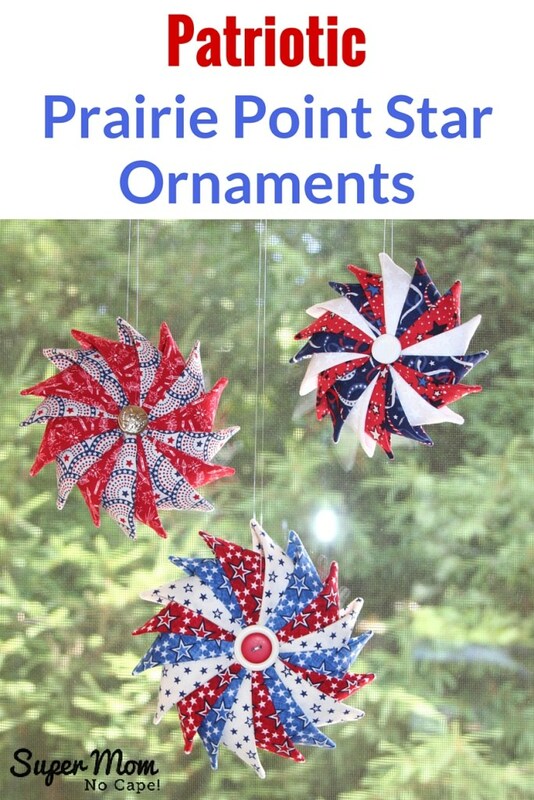 And the best part, you will be making them for any themed occasion once you know how! And finally, for my last feature, we'll end with a yummy looking dessert! It's an amazing, decorated Stars & Stripes Cake by Gloria @Across the Boulevard! Would you believe she was a teenager when she created this? What skills!!! For all of the details on this cake, be sure to stop by her blog that she shares with her mother, Beverly - one of our co-hosts! Thanks again to everyone who linked up! You all rock with creativity! Please visit all of the co-hosts to see their favorites too! Thanks so much for the honor of being featured!! I will be giving you a Shout Out on Google +, Face Book and in my next post!! Thanks again!! Thanks so much for having hosted this great party!! I hope you have a great July 4th Holiday and thanks for all your visits!! Great features, Gail. I don't do a lot of decorating for the 4th - I put out my flag and bake a pie (lol) but that's about it. I sure enjoy seeing what others do though. Love your features! 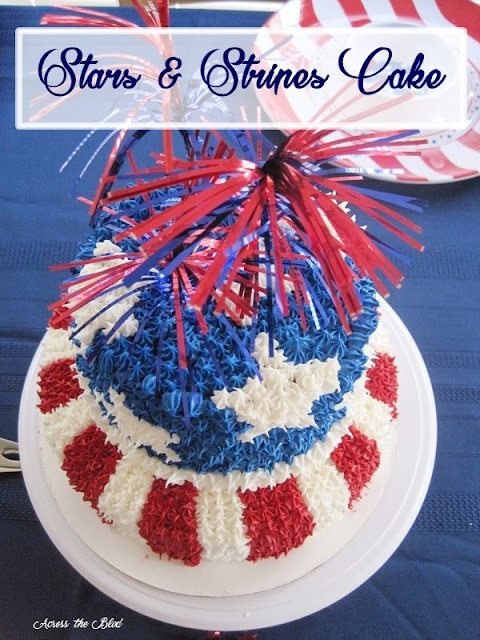 Thanks so much for including Gloria's Stars and Stripes Cake! Thanks for co-hosting the party, Gail. I hope you have a fabulous 4th of July! 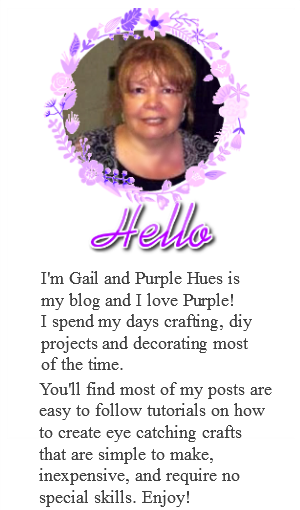 Gail, Love all your features! Hope you had a fabulous 4th! WoW!! 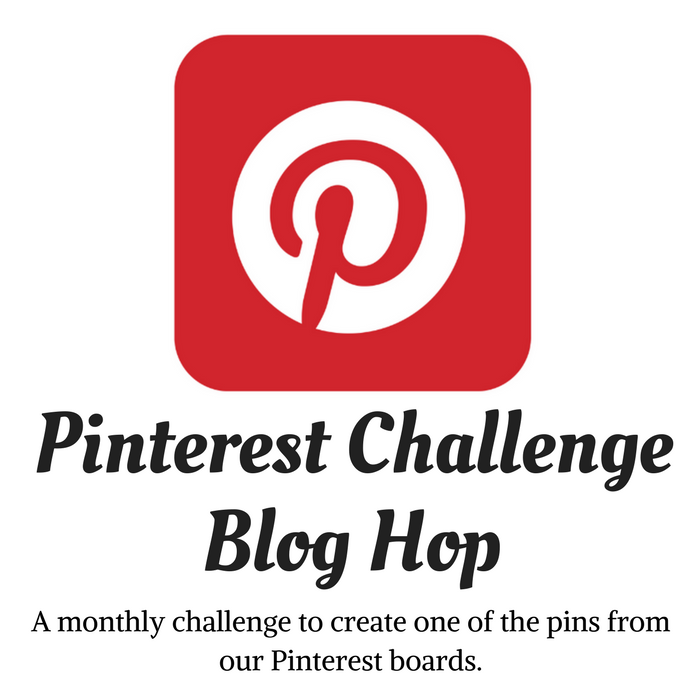 Some great ideas I will have to pin for next year! !